(W) David Wojnarowicz (A/CA) James Romberger. 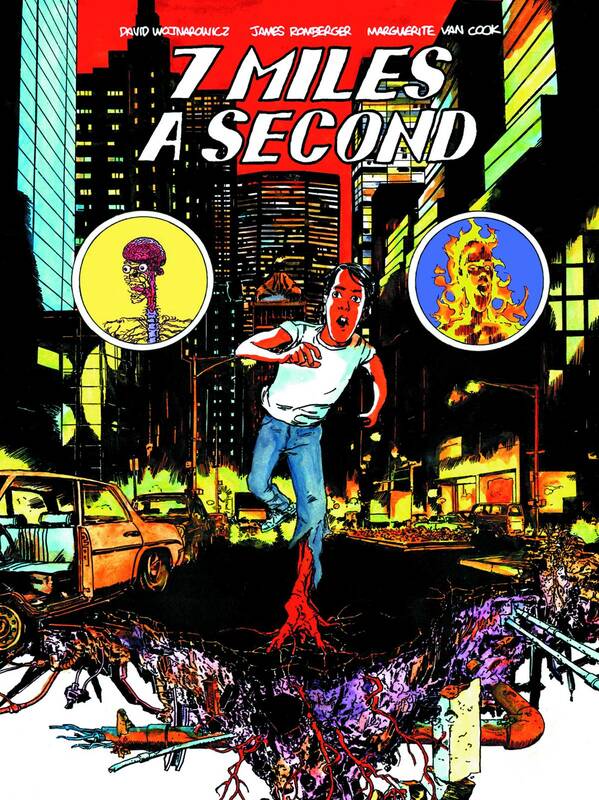 Originally published as a comic book in 1996 by DC's Vertigo Comics, 7 Miles a Second was an instant critical success and has become a cult classic amongst fans of literary and art comics. 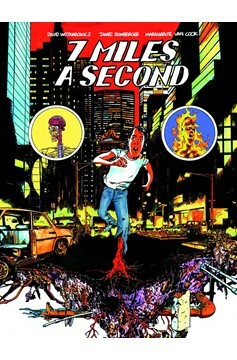 Now fully restored and expanded, 7 Miles a Second blends the gritty naturalism of Lower East Side street life with hallucinatory, psychedelic images that takes perfect advantage of the comics medium..